Energy proofing a house can actually cut annual utility bills in half. Learn how to cut down home energy costs, to monitor heating and cooling costs, learn how to reduce heating and cooling costs, how to reduce energy costs when using larger appliances, and how landscaping can actually reduce utility bills. Here's the best simple tips for saving energy and money every day. First, homeowners need to understand what they are paying for when they write checks to the utility company. Based on national averages from the U.S. Department of Energy, 44 percent of utility bills resulting from energy usage is heating and cooling the home, 33 percent is attributed to lighting, cooking and other appliances, 14 percent is due to water heating, and 9 percent is energy used by the refrigerator alone. Once you realize how you use energy you can begin to formulate a plan on how to identify places in your home that are losing energy. 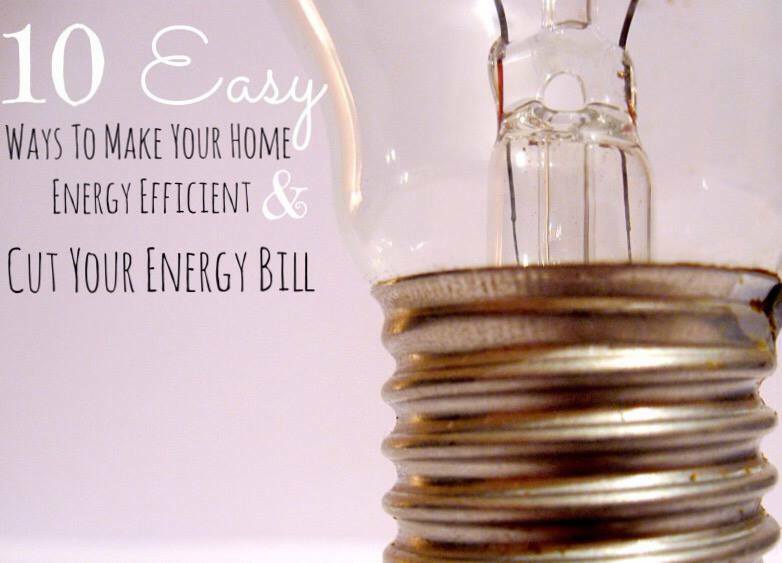 Once you assign priorities to your energy needs, you can form a whole house efficiency plan. An energy audit is a great way to figure out if you need updating or replacing of major heating or cooling systems with the house. Buying a new heating or cooling system may seem like a huge investment, but overall it will save you money years into the future and even raise the value of the home. Also, many utility companies conduct energy audits for free or for a nominal charge, so you can see where your heating or cooling systems may be costing you money. For a fee, a professional contractor will analyze how your home's energy systems work together as a system and compare the analysis against your utility bills. They will use a variety of equipment such as blower doors, infrared camera, and surface thermometers to find inefficiencies that cannot be detected by visual inspection. Finally, they will give you a list of recommendations for cost-effective improvements and enhanced comfort and safety. A professional contractor can easily be found by searching the phone book, getting referrals from friends, or doing a search on the internet. One of the most important systems in your home is the network of ducts that carry the hot and cold air throughout your home. These tubes in the wall, floors, and ceilings are connected to your furnace and central air conditioner. Unfortunately, many duct systems are not simulated properly. This is especially true within the attic or vented crawl spaces of the home, so sealing these ducts and insulating them is an easy repair. Also closing vents or radiators in an unoccupied room can save you up to 20 percent on heating costs. Another great way to cut energy costs is to take advantage of heat from the sun. Open shades on the southern and eastern windows during the day. Close these shades when the sun goes down to keep the heat from escaping. Installing a programmable thermostat lets you lower the thermostat during periods when no on is home or when people are asleep. You can save as much as 10 percent a year with this device. Also a giant misconception about air conditioners is that buying a bigger room air conditioner unit will not necessarily make you feel more comfortable during the summer months. If the air conditioner is too big for the room it will be less sufficient, than a smaller properly sized unit. This is because room units work better and use electricity more efficiently if they run for relatively long period so time than if they are constantly being switched on and off. Larger appliances such as washers, dryers, dishwashers, stoves and refrigerators are the most serious offenders when it comes to wasting energy. Replacing old or run down appliances is a smart investment. When shopping for new appliances, look for the Energy Star label. These appliances have U.S. EPA and Department of Energy approval for being the most energy efficient products in the class. A refrigerator with Energy Star label will save you between $35 and $70 a year compared to models designed 15 years ago. That is a savings that adds up to between $525 to $1,050 during a 15-year life of the unit. But if you cannot replace old units, it serves you to know why they are costing you so much money so you can take action. About 80 percent to 85 percent of the energy used for washing clothes is for heating the water. There are two ways to reduce the amount of energy used for washing clothes use less water and use cooler water. Unless you are dealing with oily stains, the warm or cold water setting on your machine will generally do a good job of cleaning your clothes. Switching your temperature setting from hot to warm can cut a load's energy use in half. Also be conscious of good operating positioning as well. For example, don't put stoves that produce heat next to refrigerators that produce cold. Saving energy is cost effective, but also it is environmentally friendly. What better way to reduce your annual energy cost than to actually use the environment to do this? Carefully positioned trees around the perimeter of a home can actually save up to 25 percent of a typical household's energy for heating and cooling? This is an annual savings on average between $100 and $250. For example, deciduous trees, or trees that lost their leaves in the fall, when planted on the south and on the west of a home will help keep your house cool in the summer and allow sun to shine in the windows in the winter. You can also deflect winter winds and reduce heating costs by planting evergreens and shrubs on the north and west side of your house. Consider switching off your computer monitor during long periods of non-use. The monitor itself uses more than half the system's energy and there really is no reason for leaving it on all night if it is not being used. Unplug battery chargers when they aren't in use. Chargers for cell phones, laptops, and other wireless devices use lots of energy even when they aren't charging their devices. Don't leave the lights on. Turn off lights any time you aren't in the room. Or install timers or motion censors to reduce the amount of time your lights are on.